I'm too tired to write a story right now. I know that's terrible. But these cookies are too tasty and addictive not to post. Before Granma went home, I made another batch to send home with her. Whisk together egg, sugar, oil, butter, and vanilla in a large bowl. 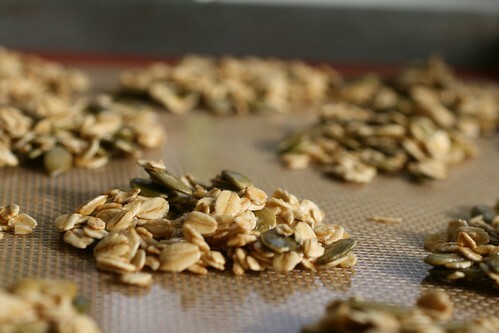 Stir in oats and pumpkin seeds. Spoon by tablespoonful onto a greased or lined baking sheet. Flatten with a spatula. 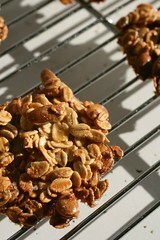 Bake for 8-15 minutes or until edges are browned and tops are beginning to brown. Let cool completely on pan. Cookies are fragile and break easily.